Owner and horse education instructor, Randee Fox, and her horses have worked together as a team since 1997 to create a progressive and education-based horse-humanship program teaching people about the joys of handling, communicating with, caring for and loving horses. 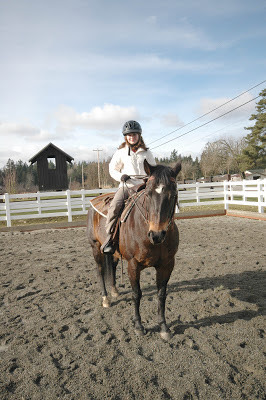 This fun, rewarding and methodical approach is used to teach all ages (8 and up) about horses. Everybody starts on the ground with one of our four horse teachers, learning how to communicate safely and be a leader for the horse, determining the gaits of the horse and the sequence of the hoof patterns as well as the rhythms of the gaits. 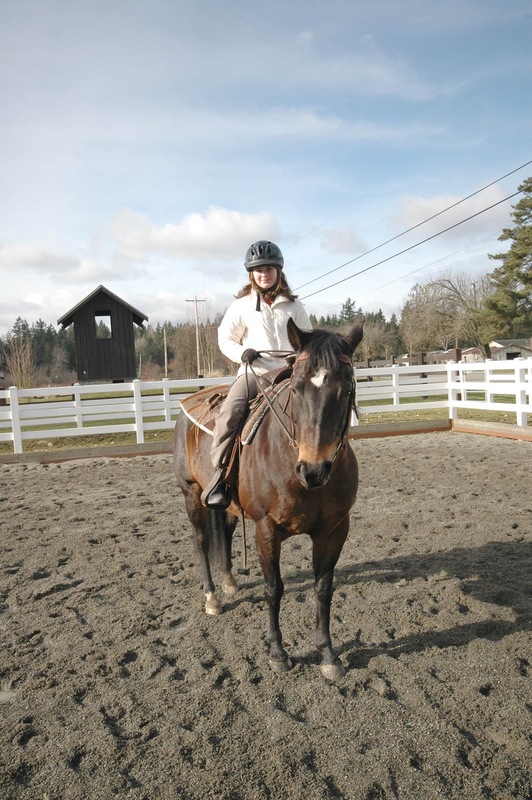 Students are taught to safely handle, lead, groom, saddle and bridle the horses. Then through lunge line exercises students are taught to find their balanced seat in the saddle. Then slowly, at their own pace, students learn to ride independently handling their horse teachers properly, safely, and respectfully. After students can safely handle the horses in the arena there are trail ride lesson options since there are miles of trails from the ranch. 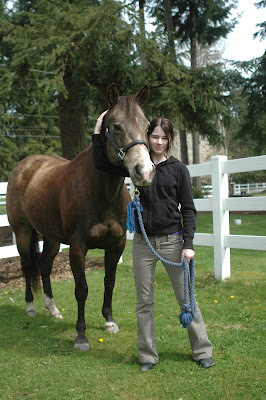 Students are taught classical riding techniques, based in dressage, with western equipment and direct reining (using both hands). Riders learn to cue the horses with voice, mind and body cues. Rates: 4-lesson package $280.00 on first lesson. Lessons are generally weekly. For more information contact Randee Fox by email or phone 206-427-7010. Nia for equestrians can be done in the studio as a rider fitness Nia class and also in the arena with a horse either on the ground or in the saddle. The practice of Nia teaches you to appreciate and connect more deeply with your body, through sensation. For anybody working with horses, this is helpful in developing subtle energetic cues that a horse can learn to synch up with on the ground and in the saddle. Every Nia experience with a horse can be adapted to the rider’s individual needs and abilities. 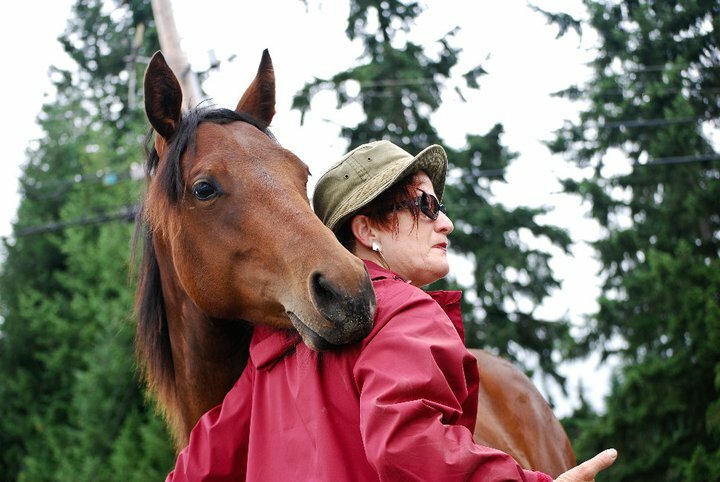 Nia can help you and your horse reach your full potential for a long-lasting and positive partnership. NOTE: Nia and Horses 3 hour intro, one-day sessions and two-day 'Nia accredited' training is available now. Learn more here.